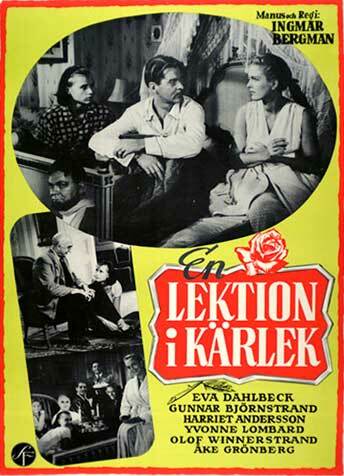 En lektion i kärlek is an Ingmar Bergman film from 1954. Oh, cool! Just wondering, didn't Ingmar Bergman live on Farö in Gotland? Fårö is a small island close by Gotland. I know... It is really pretty for what I have heard! And now you know what får + ö means! Kärlek and älskar, what is the difference? Kärlek is the noun, älska is the verb. I always liked that song, but man that video. I've been in love with the Swedish language ever since I watched Bergman's movies, yet didn't really consider studying it until recently. It's really satisfying to be able to watch films in Swedish without English text... but I do still keep the Swedish text on. It's a good mid-way point, if you have the option. Is that a song from the Swedish Level 42 tributeband Nivå Fyrtiotvå?